Anna Rice Cooke founded the “finest small museum in the United States,” stood up for diversity in the arts before it was cool, and had Bay Area ties. She was born to missionary parents in Honolulu in 1853, but spent most of her childhood on Kaua’i. She went to Punahou, Barack Obama’s high school (note to Donald Trump: it’s not in Kenya), and Mills College in Oakland, CA. Anna married Charles Montague Cooke, a prominent figure of the “Big Five” corporations that dominated the Hawaiian economy, largely operated by foreign settlers and their descendants. When the American Civil War devastated Southern plantations, the “Big Five” got filthy rich off of Hawaiian sugar interests. Charles was also instrumental in the super racist and illegal annexation of Hawaii by the USA. Anna did not follow her husband’s Americentric, imperialistic example. 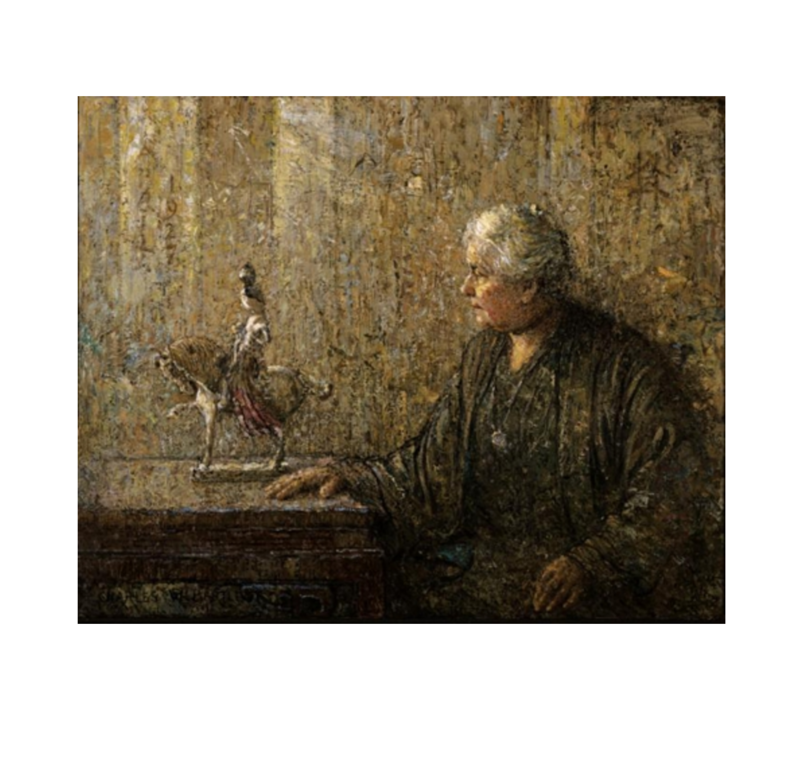 She used the family’s deep pockets to enrich the arts rather than herself, supporting local artists such as Charles W. Bartlett, who painted this portrait of her. She saw Hawaii as a diverse artistic community, in which all the cultures of the islands made valuable contributions, not just white transplant artists like Bartlett. Notably, she amassed an enormous collection of Asian art which laid the groundwork for the Honolulu Museum of Art’s current collection. Anna founded the museum in 1922, donating her personal collection and her lavish mansion in downtown Honolulu. But don’t shed too many tears for her sacrifice. She moved uphill to the breathtaking “Nuumealani” (heavenly terrace) estate, now the Spalding House museum of contemporary art. Both museums are included in the price of admission, and well worth seeing, thanks to the inclusive taste and generosity of this great lady.